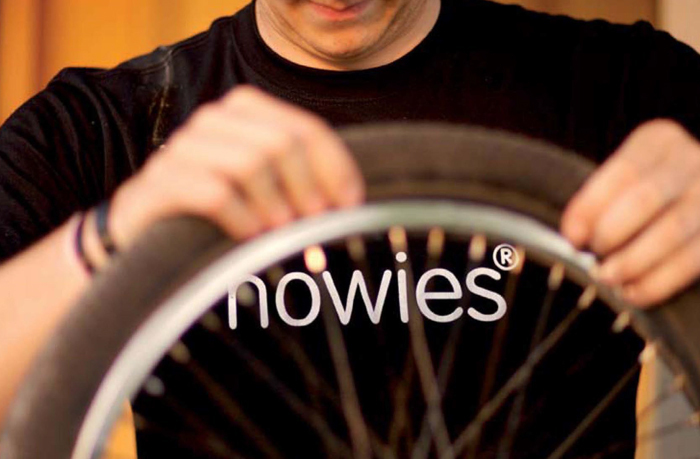 howies is an active clothing company based in South Wales that believes in making higher quality, lower impact products for our sports and day-to-day lives. They like to make people think and care about the world we live in through their t-shirt slogans, blog entries, and website rants. Howies were a company we felt did things like how we do things, and they also have an appreciation for design and ideas, so we really wanted to show them that we we could do good things together. They have a lot of agencies knocking at their door so it was going to take a different approach from us to get them to listen. We can’t remember where the idea came from, but we decided that instead of pestering howies via email asking for a project like most companies would, we would send them an idea a day for one whole year. This took a lot of commitment to think of something new each time, some were big ideas, some were small, some were silly. But all were relevant to howies and what they do. 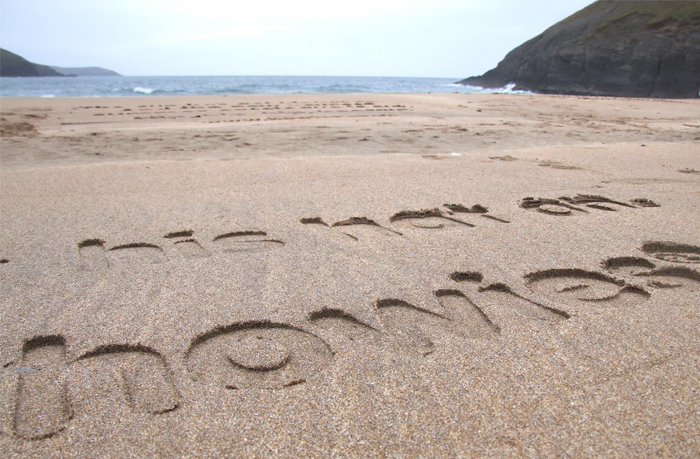 We struck gold (or sand) with our low impact advertising idea (or wash and go advertising as David Hieatt called it). 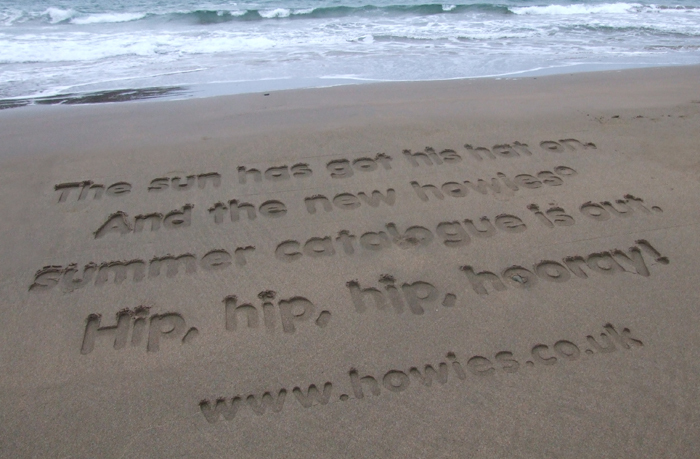 Like all good ideas it was brilliantly simple, it promotes the launch of the new Summer catalogue by embossing the message into the sand. 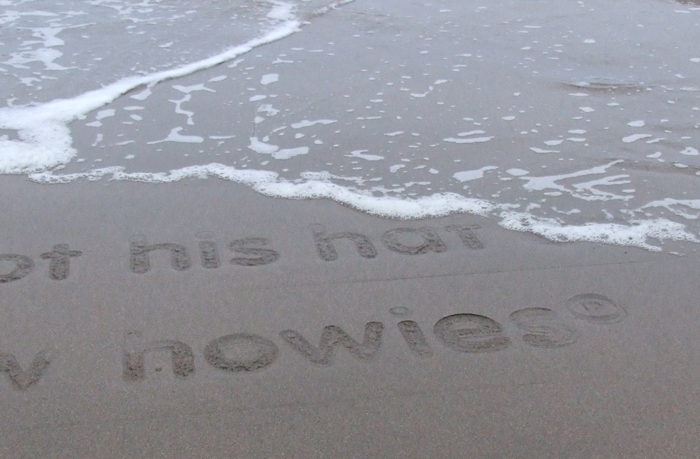 The ad just washes away when the tide comes in.